You can use AFerry to book Sark Shipping ferries between Guernsey and Sark. 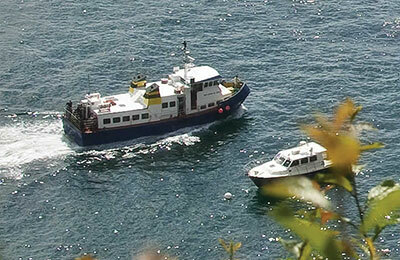 Sark Shipping has been owned by the island of Sark since 1969 and operates three passenger ferries. Bon Marin De Serk is able to carry 131 passengers during the summer months, and 98 during the winter. Sark Venture can hold a total of 122 passengers in the summer and 92 in the winter. Lastly, Sark Belle can transport a total of 180 passengers. Unlike the other two vessels, it only operates during the summer months. Sark doesn't have an airport, so the only way to reach the island from Guernsey is by catching a Sark Shipping ferry. 45,000 people a year visit the island by taking one of their ferries. 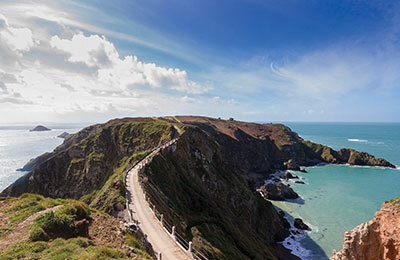 Sark is only 9 miles away from Guernsey and takes around 55 minutes. 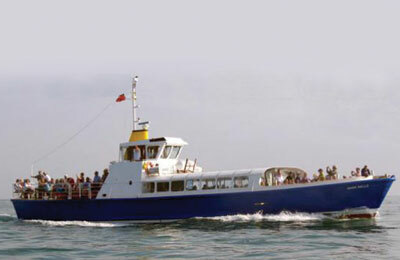 AFerry.co.uk always has cheap prices for Sark Shipping ferries and the latest special offers. See below for Sark Shipping ferry routes and the latest prices and sailing times. Click on a ferry route for a detailed Sark Shipping ferry timetable. The three passenger vessels owned by Sark Shipping offer a quick and comfortable crossing. As the journey is only 55 minutes you won't find a café or shop, but you will be able to relax on a seat or stand on deck and enjoy the view. How long before departure should I arrive for Sark Shipping?